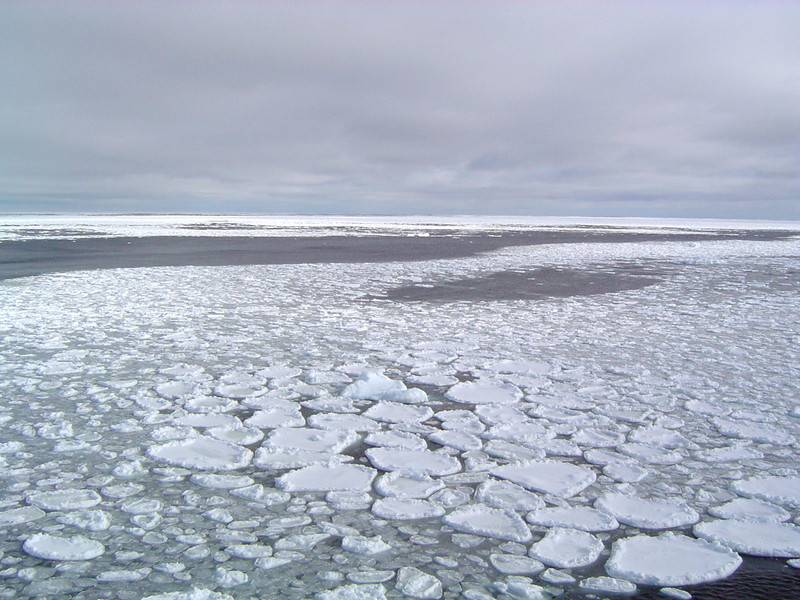 The Arctic includes an ocean covered by sea ice. Arctic sea ice melts back in Summer, and then refreezes in Winter. 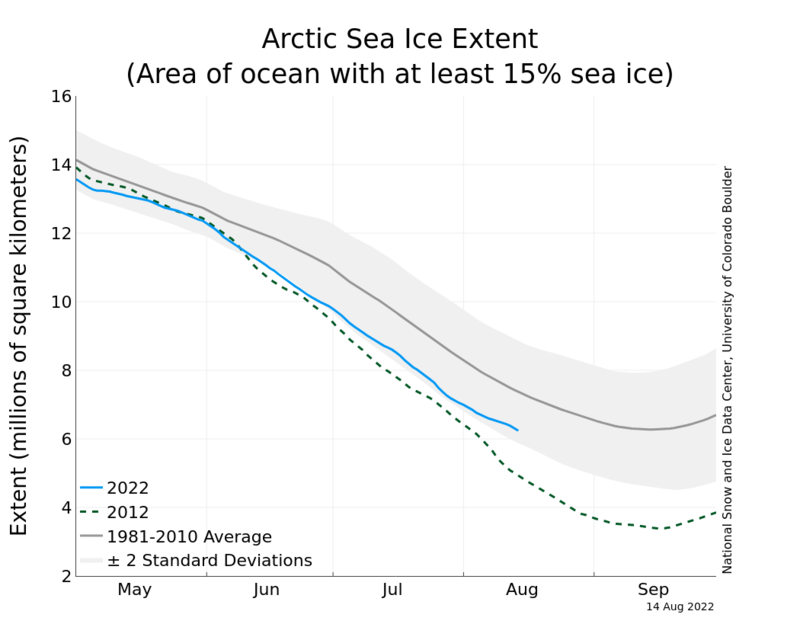 The area of Arctic sea ice is largest in March each year, and at its lowest each September. 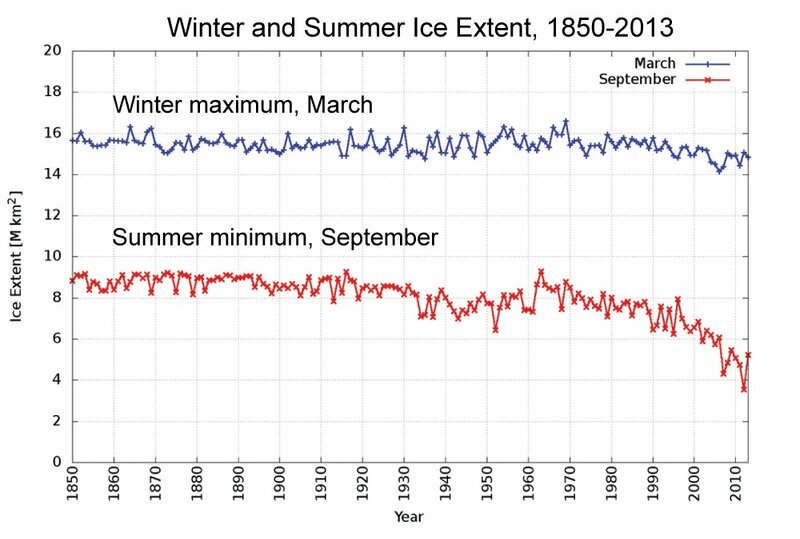 It is reducing over time - the graphs come from the US National Snow and Ice Data Center. The NSIDC also publish this graph, which is normally updated every day. More graphs and other data are also available from the Arctic Data Archive System, operated by the Japanese Arctic Environmental Observation Center. 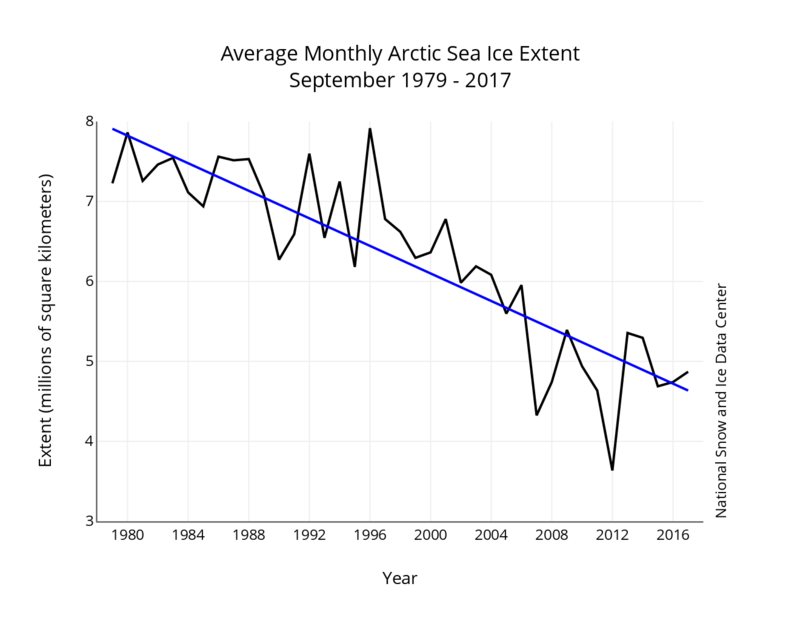 The total volume of Arctic sea ice has declined dramatically over time. 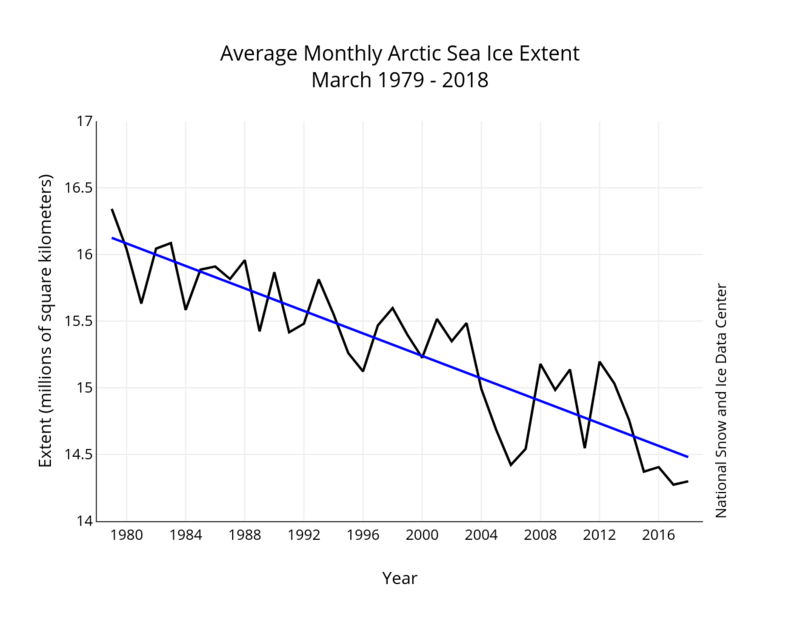 Research suggests the remarkable decline of Arctic sea ice over the last century is far beyond anything seen for a long time. 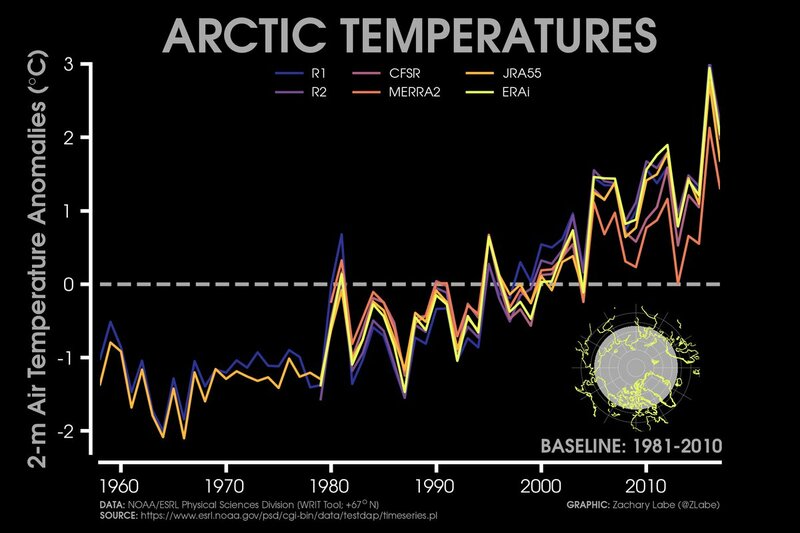 Average Arctic temperatures have risen by around 6 C degrees since the 1960s.